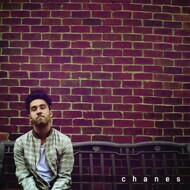 After spending the majority of 2009 in Hollywood, Chanes briefly returned home to finish up songs for what would become his 2010 release, An Experimentation in Instrumentation. The 15-track tape, presented by House Shoes, exposed us all to the nomadic 21-year-old producer from Canton, Michigan. Chanes would spend the next two years working between home and Brooklyn, before relocating to Arizona, where he would release his follow up project, Renegade Hands, (Insect Records 2013). Presented again by Shoes, Hands solidified Chanes as one of the most promising young producers in the country. Fast-forward to 2016, and at 27, this self-titled debut takes us circa 2007 - 2009 with the soul-chopping salad days of his mother's basement, through the alternative sampling Williamsburg, Brooklyn sessions of 2010. If the melancholy desert psychedelia of his isolated four years in perpetual Southwestern summer gives us a glimpse into his growing electronic influences, then the angst of his winter homecomings are hiding under the aggressive parka weather beats that first caught the attention of Detroit’s underground. Fittingly, Chanes’ debut LP comes full circle, finishing the album back in the place it all started and releasing it with long-time supporter House Shoes and Street Corner Music.